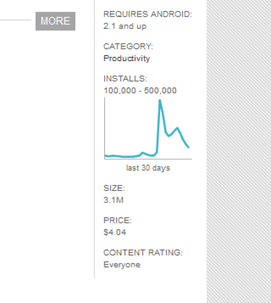 In a quiet update to the web Market, Google today rolled out these handy charts showing on each app page a 30-day history of installs. The charts can help gauge relative popularity of a given app throughout the last 30 days of its existence, but are relatively basic and not very practical. Still, we'll take any addition to the Market that doesn't make it worse. 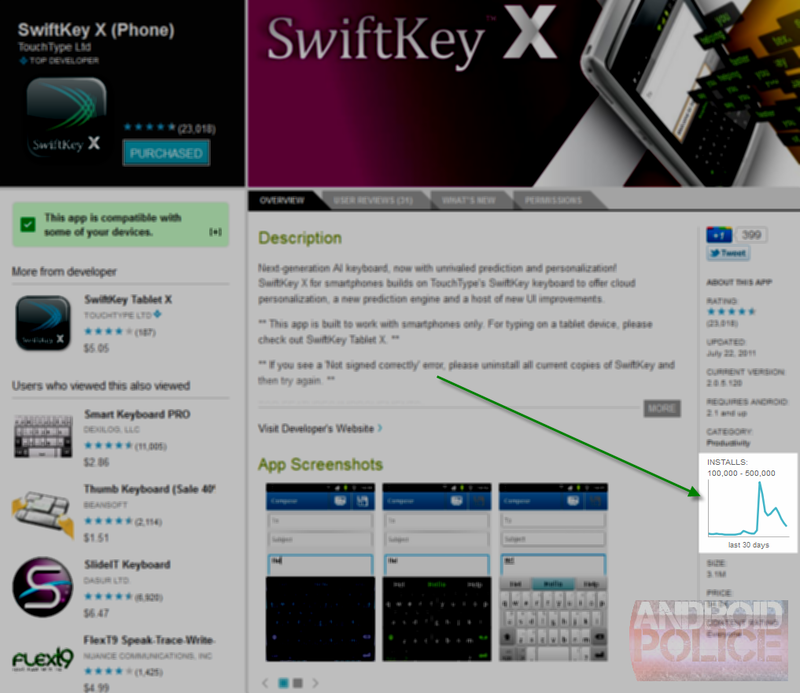 I suppose it's actually kind of fun to see what effects new releases, updates, and promotional campaigns have on applications - for example, take a look at the chart of SwiftKey X, which recently went through a major revamp. [Mech Monday] First Look: Death Cop And Destroy Gunners!